necessary for those who are considering a long-term training in Adlerian Counseling! Issues & Trends in the Diagnosis of Psychopathology: What you need to know! An Adlerian Perspective: Psychopathology or Psychosocial Adaptation? Trends in Prevention & Early Intervention: Encouraging innovations or counter-productive strategies? Dr. William Nicoll is a licensed clinical psychologist, family therapist, school counselor, psychotherapist, academician & author of various monographs and professional publications. He sreves as a consultant and trainer for the Resilience & Training Center in New Hampshire, USA which provides professional development training and consulting services to both mental health organizations re: brief counseling & therapy, family counseling and resilience-focused therapy. Also provide services to schools worldwide on issues related to resilience, social-emotional learning, bullying, classroom behavior management, home-school collaboration, and improving school climate/culture. Also serve as USA Coordinator for the European Network for Social Emotional Competence (ENSEC). He served for over 30 years as a university professor including as Chair of the Department of Counselor Education at Florida Atlantic University. Currently, he teaches graduate courses in Counseling at Plymouth State University and undergraduate psychology courses at White Mountain Community College. He has developed a number of innovative programs including: a school-based family education center, combined B.S./M.Ed. interdisciplinary teacher education program,, Ph.D. program in counseling, online/hybrid degree program, combined rehabilitation & mental health counseling degree program, a multi-cultural school counselor degree program, a university-based community counseling & supervision center, a juvenile domestic violence diversion program, a diversion program for first-time juvenile offenders, and a domestic violence prevention staff training program. Dr. Nicoll provided professional development training workshops for counselors and therapists nationwide on topic of “Brief Counseling and Therapy”, sponsored and coordinated by the American Counseling Association’s National Professional Development Program. He served as a Director of the Adlerian Training Institute in Florida for 16 years. We must not forget that he was a professional guarantee of both Adlerian psychotherapeutic trainings that have been implemented in Slovakia so far. Dr. Daniela Čechová is an assistant professor at the Department of Psychology at Comenius University in Bratislava and also at Slovak Medical University. She is a professional guarantee of the only Specialized Study in the field of Counseling Psychology in Slovakia. At the same time she is the President of the Slovak Association of Individual Psychology (SAIP) as well as the President of the International Association of Individual Psychology (IAIP). 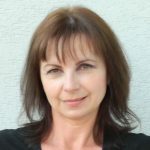 Dr. Daniela Čechová is licensed psychotherapist in private practice, senior lecturer, author of many professional publications, research studies & translations of many books from the field of psychology to Slovak language. Recently she published the book „Adlerian Ethics: Applications in Counselling and Psychotherapy“ with her colleague Dagmar Marková. She is also a member of the North American Society of Adlerian Psychology (NASAP). Dr. Lucia Bélová works as a social pedagogist in the Centre of Pedagogical – Psychological counseling in Holíč. She is a graduate from the long-term training in a Person-Centered Approach in the psychotherapy and counseling and also long-term training in the field of supervision. She attends professional trainings in Adlerian psychology regularly. In the past, she used to teach at St. Elizabeth University of Health and Social Work in Bratislava. Kristína Široká graduated from psychology at Comenius University in Bratislava. She has practical work experience as a counselor at the helpline for women experiencing violence from their partners or their ex – partners. She is currently working as an assistant psychologist to Dr. Daniela Čechová and she is also working on getting a license in the counseling psychology. She also attends professional trainings in Adlerian psychology regularly. She is a member of the North American Society of Adlerian Psychology (NASAP) too. Registration is valid after payment for tuition to account No. : IBAN: SK5411 0000 0000 294 701 2986, SWIFT (BIC): TATRSKBX. Applicants will be informed of their acceptance and about the specific programme of the Summer School. The fee is non-refundable, as it serves to pay the hotel charges in the event of participants‘ non-attendance. This year Summer School of an Adlerian Psychology will take place in the Congress center SAV ACADEMIA, which is situated at the foot of the peak Lomnicky Stit in the eastern part of beautiful High Tatras Mountains. It is located on the border of the Tatra National Park, in a quiet surrounding of the villages Tatranska Lomnica and Stary Smokovec. A favourable location is underlined by the closeness of the architectonic treasury of Spis region – Levoca, Kezmarok or Stara Lubovna. The professional as well as the social programme is open ONLY to fee-paying participants. The Summer School of an Adlerian Psychology is not a venue for the provision of psychotherapy services or private professional consultations. The demonstrations of counseling and therapy are intended to serve educational purposes. However, all are very welcome in the group discussion forums. or by phone (+421 911 902 411).